A New York jury found Mexican drug kingpin Joaquin “El Chapo” Guzman guilty on all ten charges he faced—now he’s looking at life in prison. Trump administration’s support for Saudi Arabia shows it does not support democracy or human rights, says Just Foreign Policy’s Robert Naiman. President Donald Trump is likely to sign the Congress compromise to fund the federal government and partially fund a border wall, as long as it doesn’t support amnesty programs for migrants, says conservative commentator Steve Malzberg. Chicago has been ranked the most corrupt US city. A Kentucky sheriff has encouraged residents to find ways to protect themselves after a drop in funding caused staff layoffs. RT’s Dan Cohen reports Venezuelan President Nicolas Maduro said the Trump administration is plotting to take over the resource-rich South American country and compared it to the KKK. 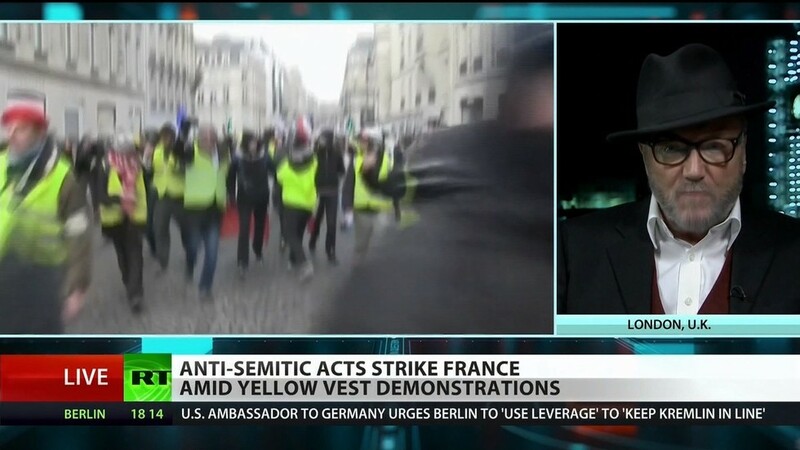 Yellow Vests, coming off a 13th weekend of protests in France, must rise above the anti-Semitism and racism endemic in French society, says former UK MP George Galloway. Meanwhile, a company aiming to colonize Mars has gone bankrupt.